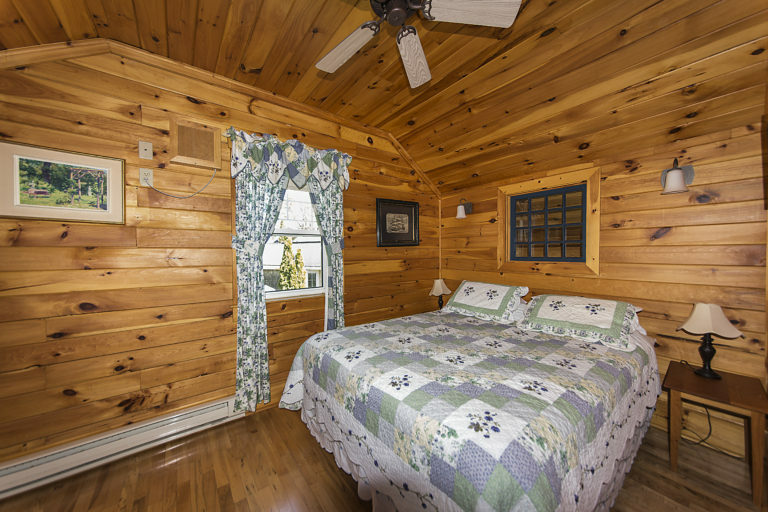 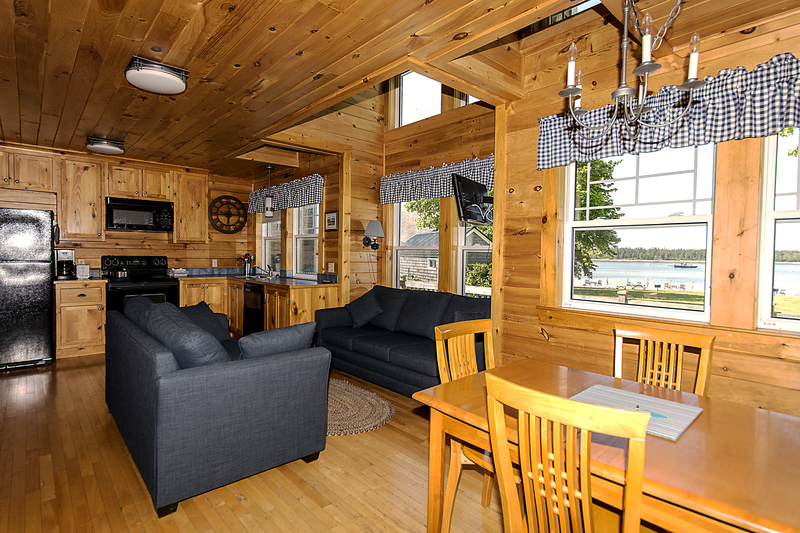 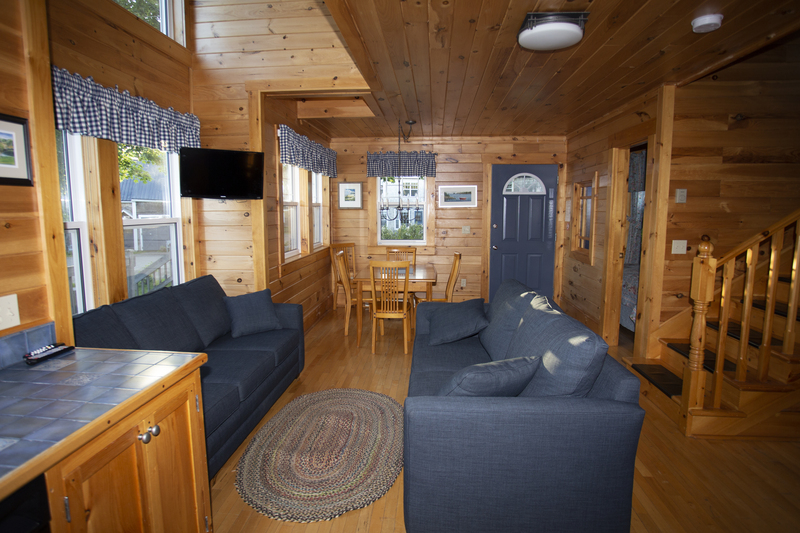 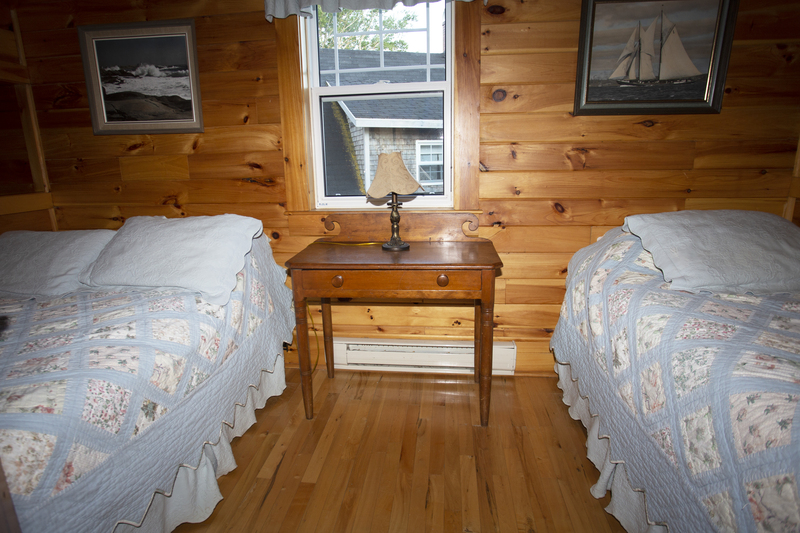 Spruce is a three-bedroom cabin, our largest unit. 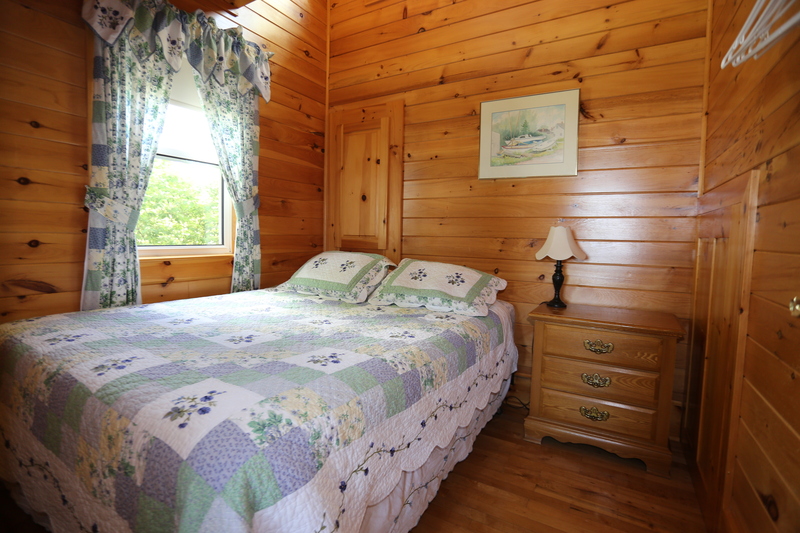 It has a queen in each of two bedrooms, a double and single in a third bedroom, and a pullout couch in the livingroom. Large open kitchen with full-sized appliances, microwave and dishwasher. 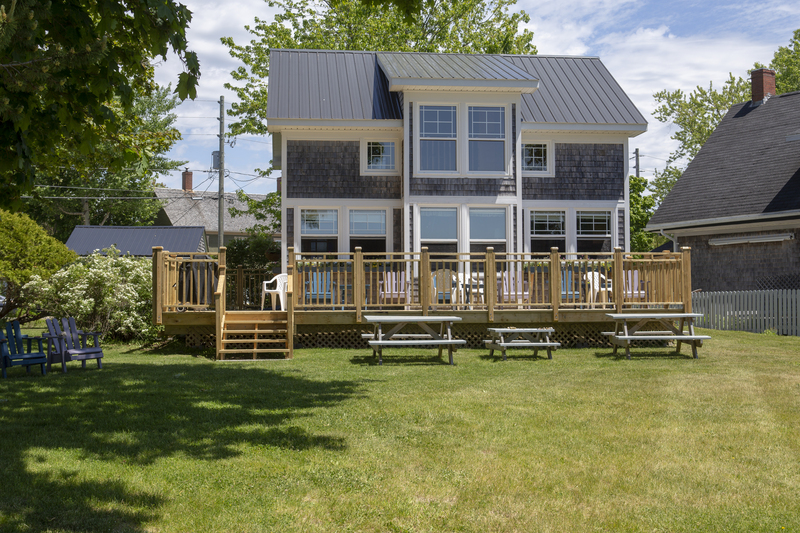 Barbecue on spacious deck. 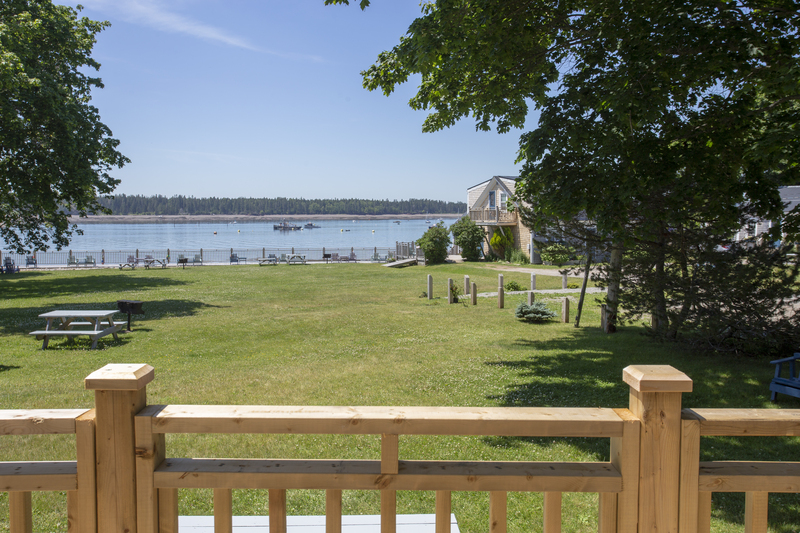 Nice view across the lawn to the waterfront.